It is still rural, a wooded farmland area a few miles east of Faversham in Kent, and a few more miles west of Canterbury. Now its population is dominated by commuters and the retired, but in 1837 the vast majority lived on the land, tenant farmers and their agricultural workers; overall, a population that was not happy with its lot. The decade had already seen the Poor Laws and the Corn Laws, the Tolpuddle Martyrs and the Chartists, and the rise of millennial religious movements like the Spencians, the Plymouth Brethren and, in the USA, the Mormon followers of John Smith and Brigham Young. A state of turmoil and ferment under the placid facade of rural England was ideal fertile ground for a delusional, certainly unstable, individual calling himself Sir William Percy Honeywood Courtenay, King of Jerusalem and Knight of Malta. Accept that he was a persuasive and articulate, indeed inspirational figure, and it can be understood why he should begin to gather supporters as he preached political and religious revolution with a messianic vigour. He had no reason to admit that he had been christened John Nicholls Tom, and that he was a maltster and hop-dealer from Truro in Cornwall. Tom had only recently been released from the local lunatic asylum, on the understanding that he would return to his family in Cornwall, who had been pressing for his release. However he ignored the conditions and took up residence amongst the farming community of Boughton, outside Faversham, claiming that he had royal patronage, and that he was intending to buy up local land and allow his tenants to live rent-free. On May 27th 1837 he set out on a local preaching tour in an attempt to stir the populace into revolt using a tactic later to be seen in Burma and South Africa - he used a conjuring trick to pretend to shoot himself in an attempt to persudade his followers that he could protect them from being injured by weapons. From a modern perspective the madness of the scheme can perhaps best be judged from the image of Tom and his followers marching preceded by a man bearing a blue and white flag which had on its staff half a loaf of bread which had been blessed by Tom. Over the next few days the mob roamed the area, with Tom preaching and giving the sacrament at various settlements (Fairbrook, Godnestone, Hernhill, Dargate, Newnham, Eastling, Throwley, Seldwich, Lee and Selling). This was local rabble-rousing (one suspects a number of people may just have been there for the entertainment), and would probably have faded to nothing, had not the local magistrates become apprehensive, summoning the local constable to disperse the gathering. On Thursday, 31st May the local constable, Nicholas Mears, with two assistants, arrived at Bossenden Farm (still there, just off the A2, about a mile north-east of Boughton-under-Blean) to break up the gathering and to arrest Tom. This was when things started to go awry. Tom produced a pistol, shot Mears, and then, as Mears lay dying, stabbed him repeatedly and threw the body into a ditch. The constable's assistants fled and reported back to the magistrates. Unsurprisingly the magistrates summoned assistance, calling for the 69th regiment of Foot in Canterbury. As one hundred troops under the command of Major Elliot Armstrong set out from Canterbury, the local vicar, Reverend Handley, tried to persuade Tom to give himself up. He stopped trying when Tom shot at him (he missed), and Tom and his men, armed with farm implements and clubs, retreated into Bossenden Wood. The troops entered the wood in two groups, one headed by Armstrong, the other by Captain Read, and it was the latter who encountered Tom's men first. It was then that thoughtless impetuosity reared its head, and one of Read's officers, Lieutenant Henry Boswell Bennett, entered the story. Bennett was twent-ynine, the Irish son of a major in the 69th. Promoted from Ensign, without purchase, in 1827, he had spent the intervening years in India, and had only recently returned to England with the regiment. None of that convincingly explains why he acted as he did next. Major Armstrong had arrived on the scene in time to see Bennett advancing with sword drawn towards Tom. Armstrong shouted to Bennett to fall back - he knew that, with his troops' muskets against clubs and shovels, the rebellion was over, and he wanted to avoid bloodshed (the shades of Peterloo still hung over the military). Either Bennett did not hear his commanding officer, or he ignored him, and he and Tom ran towards each other. As Bennett swung at Tom with his sword Tom shot the officer through his right side; Bennett attempted a couple more slashes at the other before collapsing onto his back. In response the troops were ordered to shoot Tom, and then fix bayonets. Tom fell dead, and the troops charged. The end result was that one other soldier was killed, and one wounded, while nine rioters were killed, and twenty-three taken prisoner (the rest either fled or surrendered). It was all a rather pathetic episode, from which no-one comes out with any credit, and with tragic consequences. 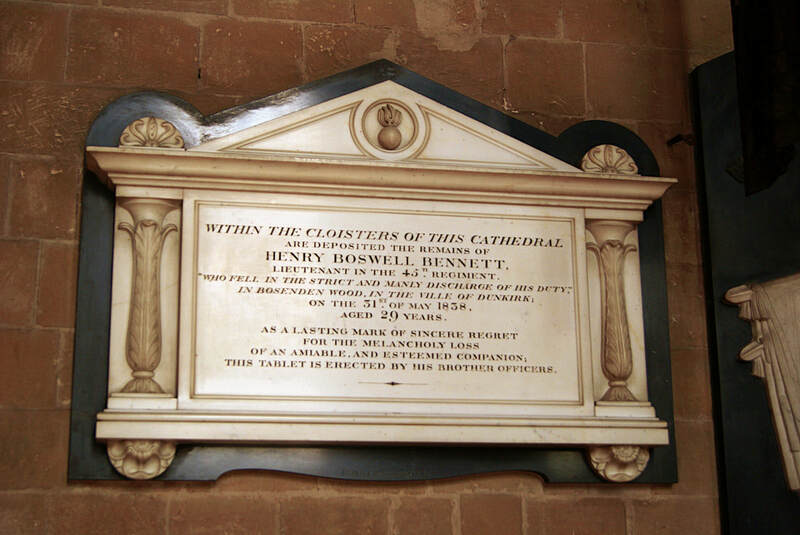 Bennett was buried at Canterbury Cathedral on June 2nd, with full military honours before six thousand spectators. Three days later Tom was buried at Hernhill without ceremony. Of his surviving followers two were sentenced to death, later commuted to transportation for life, one was transported for ten years, and six were sent to prison for a year. Despite those punishments many of those named as being with Tom were listed as being in the area in the 1841 Census, and a number went on to live long and relatively prosperous lives. Tom's followers were not the unemployed poor. Alexander Foad and George Francis were tenant farmers, and James Goodwin was an innkeeper. They were people who had something to lose, so their willingness to accompany Tom is some testimony to his persuasiveness. Some lived long, relatively prosperous, lives; Foad died aged eighty-seven in 1882, and William Curling (an agricultural labourer in 1837, but later to become a farmer), lived until 1895, dying at the age of ninety, by which time the events of that first year of Victoria's reign must have seemed a distant memory. Major Elliot Armstrong died in Monmouth, of typhus, in 1840. The irony of his being the man commanded to stop Tom's 'insurrection' is that he was a member of a dissident religious group himself, The Plymouth Brethren. A man who would have some understanding the motivations behind Tom and his followers was the man sent to quell them. I suspect he felt some remorse and shame over having to be involved in what was quite a tawdry episode in British military history.